Here is an overview page for the cats and kittens available. You can come and meet some of our cats and kittens at PetSmart in North Attleboro Wednesdays 6-7PM and Saturdays 12:30-2:30PM. If you are looking to adopt a cat or kitten please fill out the application form online or download the form and e-mail or fax it using the information in the form. 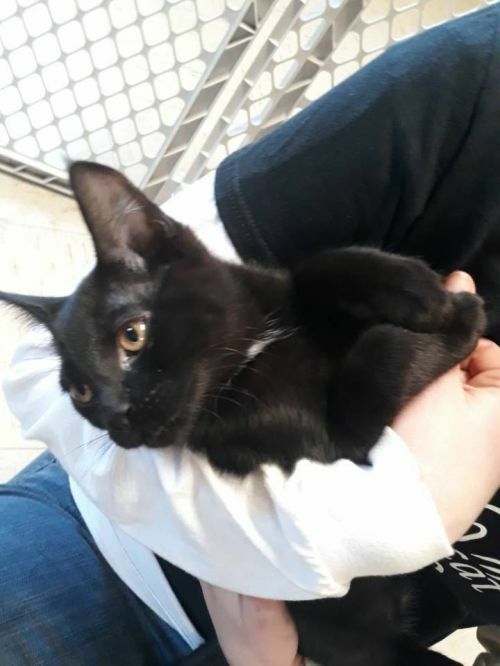 Holden 13 is a 4-5 month old female all black kitten. She is nicknamed "Sassy" as she chases her brothers around. She would be a great solo cat! She is extremely friendly and curious. She loves kids and people. She has not been tested with dogs. She would do best in a home with plenty of time to give her attention. She is sweet and loving but has a TON of energy. This cat is currently in a foster home so if you would like to meet them please fill out an adoption application. They can be found at www.angelcathaven.com and can be filled out online, faxed to 617-488-2239 or emailed to cats@angelcathaven.com. Holden 11 is a 4-5 month old male tuxedo kitten. He has the cutest spots on his nose. He is extremely friendly and curious. He loves kids, people, and other cats. He has not been tested with dogs but may do well. He would do best in a home with plenty of time to give him attention. He is sweet and loving but has a TON of energy. This cat is currently in a foster home so if you would like to meet them please fill out an adoption application. They can be found at www.angelcathaven.com and can be filled out online, faxed to 617-488-2239 or emailed to cats@angelcathaven.com. Snowflake 1 is a sweet, adorable female kitten who is approximately 5 months old. Just look at that face! She would be best in an adults only home. She likes other cats but would be afraid of loud dogs. She is still a little shy, however, she does warm up when she gets to know you and loves to play with toys and snack on treats. She enjoys cuddling on the bed or on the floor with her foster parents. It will take her a little while to get settled into her new home and cuddle with you. 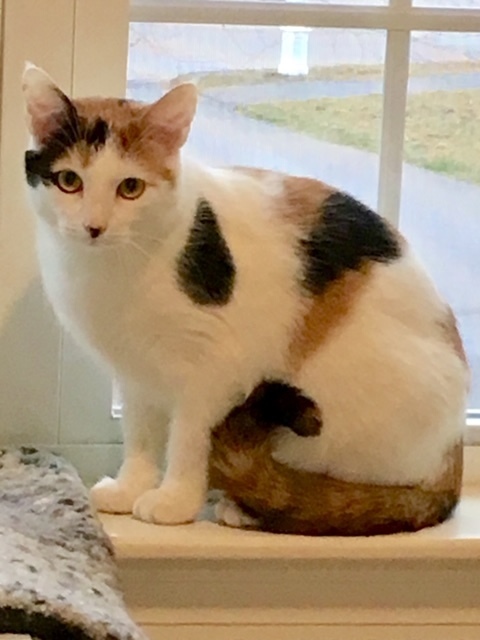 She gets along well with the other cats in her foster home and would do well with other cats or as an only cat where she may bond even more quickly with her people. She will take a little while to settle in but she will be well worth the wait! 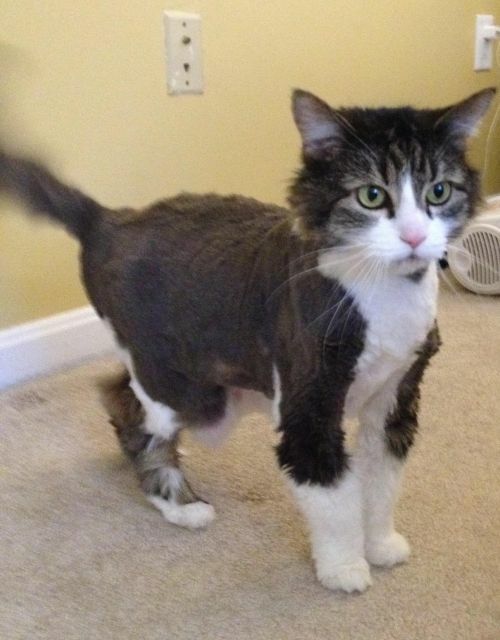 This cat is currently in a foster home so if you would like to meet them please fill out an adoption application. They can be found at www.angelcathaven.com and can be filled out online, faxed to 617-488-2239 or emailed to cats@angelcathaven.com. Snowflake 2 is a very sweet 5-6 month old kitten. She would do best in a home with quiet children over 12 or adults only. She likes other cats and loves to play. She takes a little while to warm up to you but once she does she loves to play! She likes to sit beside you and sleep in your bed but she needs to do so on her own terms. 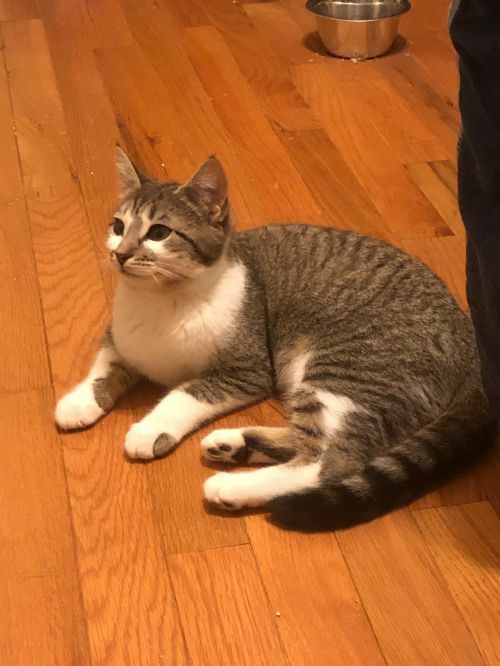 She gets along well with the other cats in her foster home and would do well with other cats or as an only cat where she may bond even more quickly with her people. This cat is currently in a foster home so if you would like to meet them please fill out an adoption application. They can be found at www.angelcathaven.com and can be filled out online, faxed to 617-488-2239 or emailed to cats@angelcathaven.com. Fawn 1 is a very active 9 month old male tuxedo kitten who loves to play. He is bonded with his friend Courtlyn 1 and we would like to find them a home together. Fawn 1 is FIV positive but can live a long healthy live as an indoor only cat. 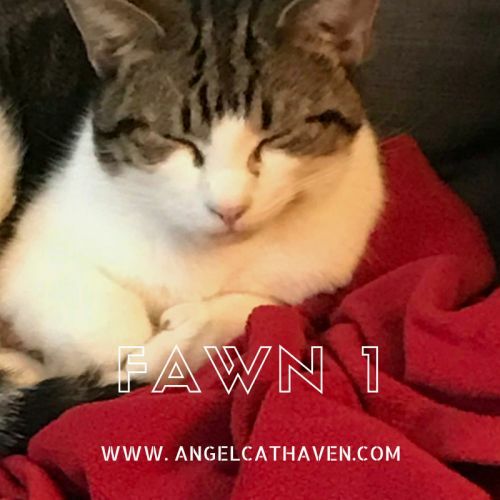 Fawn 1 is a very active kitten who loves to play, and can be timid as he gets used to being around people. He is warming up and even has spent some time cuddling on laps recently. He loves any toy with a ball with his favorite being the trackball that he can chase around. He also loves to chase catnip mice and wrestle with his buddy Courtlyn. He'll do well with someone who can be patient with letting him warm up at his own pace and get comfortable with his surroundings. Fawn 1 could spend hours staring out the windows at birds and is a very adventurous guy. He'll do well with someone who can be patient letting him warm up at his own pace. He would do best in a home with no small children. This cat is currently in a foster home so if you would like to meet them please fill out an adoption application. They can be found at www.angelcathaven.com and can be filled out online, faxed to 617-488-2239 or emailed to cats@angelcathaven.com. 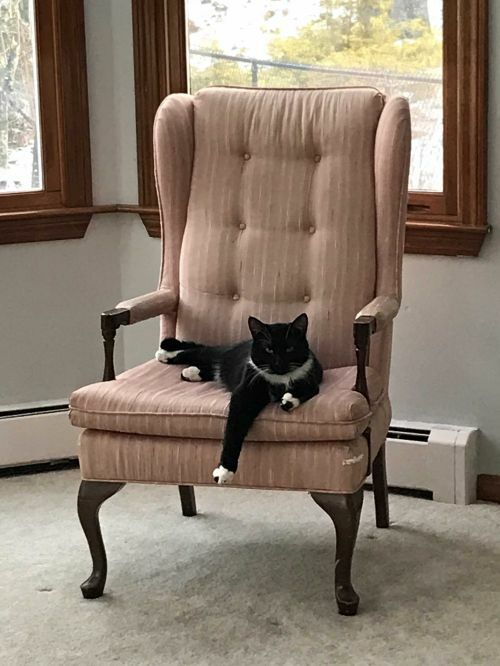 Courtlyn 1 is a very active 10 month old male tuxedo kitten who loves to play. He is bonded with his friend Fawn 1 and we would like to find them a home together. He is timid at first but once he warms up he is a very social guy and loves to spend time with his people. His favorite toy is the cat dancer and he loves to chase his catnip mice and wrestle with his buddy Fawn 1. He doesn't really enjoy being picked up but is a very lovey cat and loves to curl up on your lap and cuddle for hours a day. He will also sleep at your feet at night. Courtlyn and Fawn can be independent and love to explore and go on adventures together. He'll do well with someone who can be patient letting him warm up at his own pace. He would do best in a home with no small children. This cat is currently in a foster home so if you would like to meet them please fill out an adoption application. They can be found at www.angelcathaven.com and can be filled out online, faxed to 617-488-2239 or emailed to cats@angelcathaven.com. Herman is a curious older kitty with a lot of personality. He is approximately 12-15 years old. Sitting in your lap or looking out the window are some of his favorite activities. Hermie also likes to spend time with his stuffed animal companion. Heâs a happy old guy who sometimes gets run off by the other younger cat in his foster home, âHe gets knocked down but he gets up againâ. 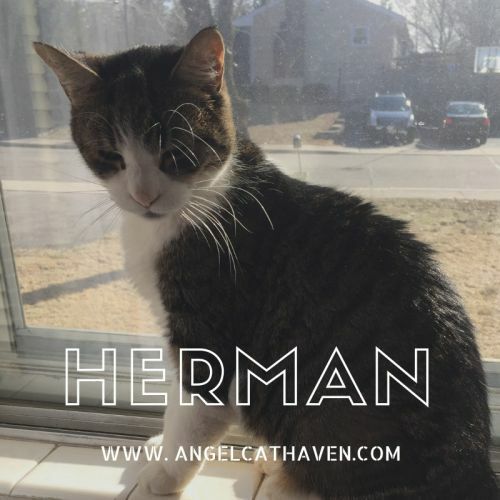 Hermie has no fear of the other cat and may do well with other cats that arenât dominant. He is good with kids. He loves people and is looking for a home to spend his golden years in. 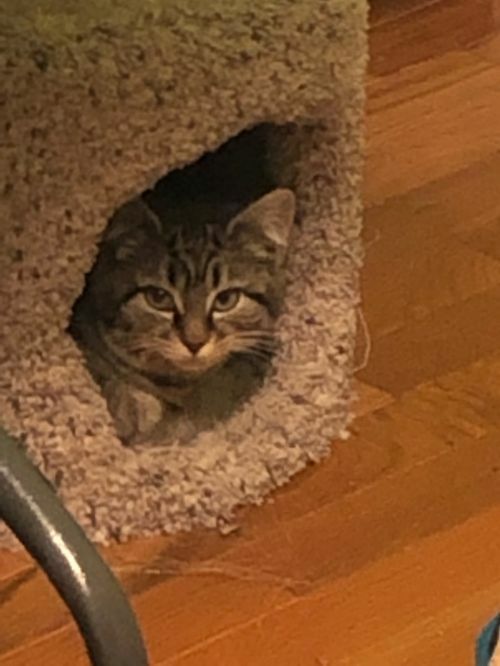 This cat is currently in a foster home so if you would like to meet them please fill out an adoption application. They can be found at www.angelcathaven.com and can be filled out online, faxed to 617-488-2239 or emailed to cats@angelcathaven.com. Herman is a candidate for our senior to senior program. Visit our website for more information. Monarch A is a 3-4 year old black short hair female cat. 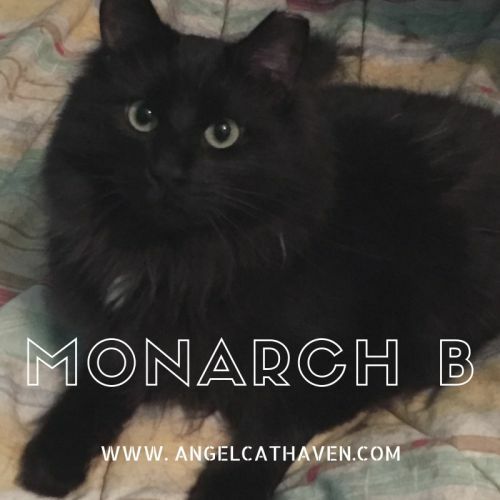 She is very sweet and enjoys hanging out with Monarch B. Monarch "A" & "B" were rescued together, along with their kittens and we're so glad to have them! They were shy and very cautious at first but they now realize we are here to help and love them, and they have come such a long way!! They are so much more confident and their sweet personalities are truly beginning to shine. They have a new found appreciation for playtime. They love wand toys, feathers, shoelaces, ribbons, and tearing through tissue paper! Monarch A will stand up, jump, and swat her dangling toys, while Monarch B prefers to roll around and be silly. They like exploring open cabinets and boxes, but they LOVE their comfy bed! Sometimes they take turns, other times they cuddle together. It took awhile (and some catnip), but they now allow pets and brushing regularly. They sometimes still get "spooked" and quickly dart away, but normally when they are ready for lovins, they go to their safe place which is the bed. They then look at you as if to say "OK, I'm ready now!" and once you start petting they don't want you to stop. We are happy to pet them until they fall asleep . As far as they have come, "the girls" will still need a quieter home where they'll be allowed the time necessary to once again adjust to a new environment. At first, it would just be a lot of talking to them (they like singing too), offering them play from a distance, and just let them settle in at their own pace. No need to "try to hard", just be there for them. These sweet girls will reward you with years of love and companionship, if just given the chance in the right home. This cat is currently at Petsmart in North Attleboro so if you would like to meet them please fill out an adoption application. They can be found at www.angelcathaven.com and can be filled out online, faxed to 617-488-2239 or emailed to cats@angelcathaven.com. 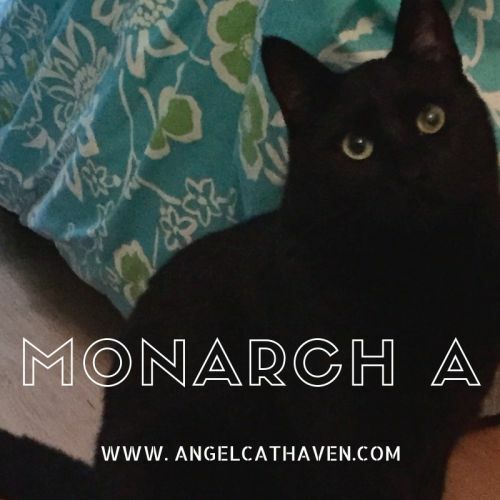 Monarch "A" & "B" were rescued together, along with their kittens and we're so glad to have them! Monarch A is 3-4 years old and short hair and Monarch B is 1-2 years old and long hair. They were shy and very cautious at first but they now realize we are here to help and love them, and they have come such a long way!! They are so much more confident and their sweet personalities are truly beginning to shine. They have a new found appreciation for playtime. They love wand toys, feathers, shoelaces, ribbons, and tearing through tissue paper! Monarch A will stand up, jump, and swat her dangling toys, while Monarch B prefers to roll around and be silly. They like exploring open cabinets and boxes, but they LOVE their comfy bed! Sometimes they take turns, other times they cuddle together. It took awhile (and some catnip), but they now allow pets and brushing regularly. They sometimes still get "spooked" and quickly dart away, but normally when they are ready for lovins, they go to their safe place which is the bed. They then look at you as if to say "OK, I'm ready now!" and once you start petting they don't want you to stop. We are happy to pet them until they fall asleep . As far as they have come, "the girls" will still need a quieter home where they'll be allowed the time necessary to once again adjust to a new environment. At first, it would just be a lot of talking to them (they like singing too), offering them play from a distance, and just let them settle in at their own pace. No need to "try to hard", just be there for them. These sweet girls will reward you with years of love and companionship, if just given the chance in the right home. This cat is currently at Petsmart in North Attleboro so if you would like to meet them please fill out an adoption application. 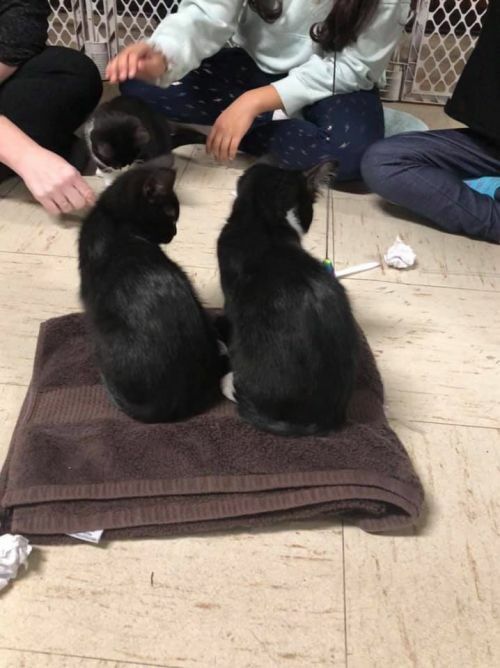 They can be found at http://www.angelcathaven.com and can be filled out online, faxed to 617-488-2239 or emailed to cats@angelcathaven.com. Because of the high number of applications being received for Joy, if you do not have experience socializing, or do not include this information and details as part of the application, the application will not be processed. We are staffed by 100% volunteers, and to find Joy the right home, we need to take time to concentrate on homes that would be a good fit for her. Thank you for your cooperation. Joy 1 is a 5-7 month old kitten. This beautiful little girl is a real sweetie. She is skittish at first and needs to feel safe to let her sweet personality shine. She would do best in a quiet household with another kitten or cat. She needs an experienced adopter with another cat in the home. She will need to be crated initially and then gradually be given room to explore. She cannot go to a home with children or loud dogs. NOTE: Please include details in your application regarding experience socializing extremely shy cats. This cat is currently in a foster home so if you would like to meet them please fill out an adoption application. They can be found at www.angelcathaven.com and can be filled out online, faxed to 617-488-2239 or emailed to cats@angelcathaven.com. Dakota has been with us for way too long! This beauty is approximately 8-9 years old, and though much loved by her Foster Mom, we are hoping to find her a true forever home where she can have more room to explore, nice sunny windows, comfy spots for naps, and lots of love! Dakota loves attention, but asks that you respect her boundaries. Like most cats, she'll let you know what she likes, and doesn't like. She sometimes adds a little "sass", so she'd be best in a cat savvy home without young children. Due to Dakota's long fur and mane (and not being too fond of brushing), she visits the groomer 3-4 times a year and looks half her size afterward!! Dakota is FIV+, but she has been indoors since she was a young adult and will always stay indoors - so we would expect her to live a long and healthy life! We all know it only takes that one special person to totally change a cat's life. Someone willing to give them that chance, that opportunity , that all shelter and rescue animals deserve. Could you be Dakota's life changer? She has spent too many years of her life listed as "available". Let's change that listing to "adopted"!! Dakota is currently in a foster home so if you would like to meet her please fill out an adoption application. They can be found at http://www.angelcathaven.com and can be filled out online, faxed to 617-488-2239 or emailed to cats@angelcathaven.com.